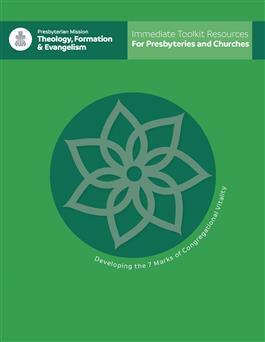 The Vital Congregations Toolkit is primarily for congregations and presbyteries who are considering going through the two-year Revitalization Initiative. During the revitalization initiative leaders from Presbyterian Mission in the Presbyterian Church (U.S.A.) and presbyteries work alongside leaders of existing congregations. The goal of the program is to discern how to live into faithful actions that will increase congregational vitality through spiritual practices that take participants deeper into following Jesus Christ. As lives are changed, congregations are transformed — and the mission of God spreads throughout communities and the world.